Up until recently, Halloween was not a “thing” in Italy. Carnevale was the time when kids dressed up and went to costume parties and pumpkins were reserved for cooking (see last year’s Halloween post). But somewhere along the way, in the midst of the exportation of McDonalds, Burger King and even (gasp) Starbucks to Italy, Halloween became big. There are parties for young and old in piazzas, pubs and homes and children go around in neighborhoods saying dolcetto o scherzetto (trick or treat). And because the Italians are the BEST at celebrating things, the October holiday turns into a three day event spanning two months. Actually, it just happens to fall right before All Saints’ and All Souls’ days which are November 1 & 2. These two religious feast days are also public holidays. On All Saints’ Day, Italians celebrate mass and have a day off of work. On All Souls’ Days they tend to visit their departed loved ones in the cemetery, brining chrysanthemums, the traditional flower of the dead. They also make a traditional sweet called ossa dei morti (bones of the dead). 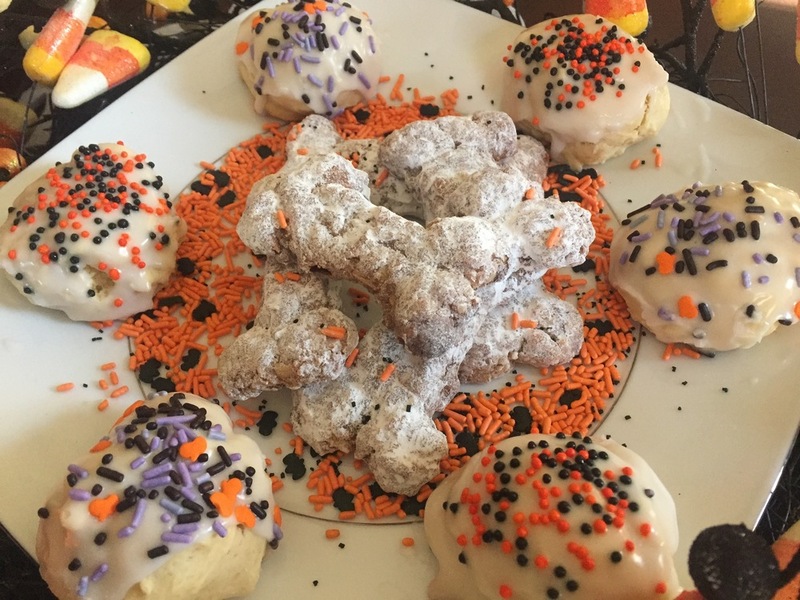 These crunchy, bone shaped cookies have many variations and are delicious with coffee. This year I tried one with cinnamon and lemon - quite delicious. I also made a traditional anise cookie that graces every Christmas cookie platter of every Italo-American family. Instead of Christmas sprinkles I went for the Halloween ones and voilà – let the weekend celebrations commence! Here is the recipe for the ossa dei morti – enjoy!